THIS GATED EQUESTRIAN ESTATE offers so many amenities for horse enthusiasts! The main building contains over 10,000 SF - Part of main level is the finished Dwelling with 2 BRs/2BAs, kitchen/living combo with quartz, custom cabinetry & tile floors; The second floor of the dwelling area is unfinished. The building offers tack room, stalls, grooming areas, another bathroom/lounge area and a 6-bay workshop! 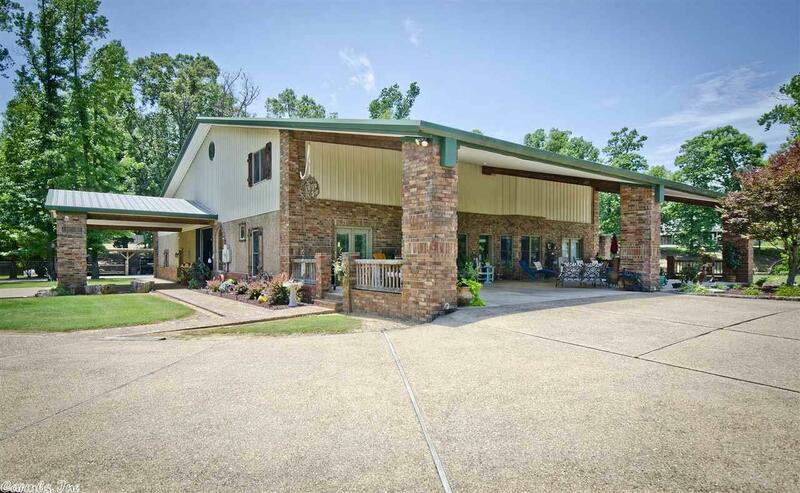 Grounds have an open arena, land is fenced+cross-fenced w/ponds & borders the Saline River!